In the US, about 37.5 million adults have some amount of hearing loss. Yet according to the National Institutes of Health (NIH), only 20 percent of those who could benefit from hearing aids actually use them. That suggests that millions of Americans who could improve their life with better hearing choose not to do so. After being shown that they need hearing aids, people wait on average 5-7 years before even purchasing them—which is too bad, because for those that do choose to wear hearing aids, the results are overwhelmingly favorable. Many studies have demonstrated that wearing hearing aids improves relationships, enhances general physical and mental health, and even increases household income, as reported by the Better Hearing Institute. Regrettably, 80 percent of those who could use hearing aids will never enjoy these benefits. And of those who do, it’s a shame that they have to wait so long. The question is: if people are waiting 5-7 years before getting a hearing aid, what is finally swaying them to do so? And if we understood the reasons, would it encourage us to address our own hearing loss sooner? With that in mind, we’ve gathered the most common “triggers” that have inspired our patients to finally schedule a hearing test. The thing about high-frequency hearing loss is that the sounds most difficult to hear are many times higher-pitched. That makes the female voice and the voices of children especially difficult to understand. As a result, many people with hearing loss miss out on what their grandchildren are saying, or alternatively have to make them repeat themselves. After a while, the grandkids begin evading the grandparents, and this provides a strong incentive to book a hearing test. Communication is the foundation of any healthy relationship, which is the reason hearing loss is so frustrating for both individuals. If you suffer from hearing loss, you might think everybody else mumbles, but your partner probably thinks you talk too loudly or “selectively listen.” This produces stress, and before long, you find yourself in more arguments than normal. 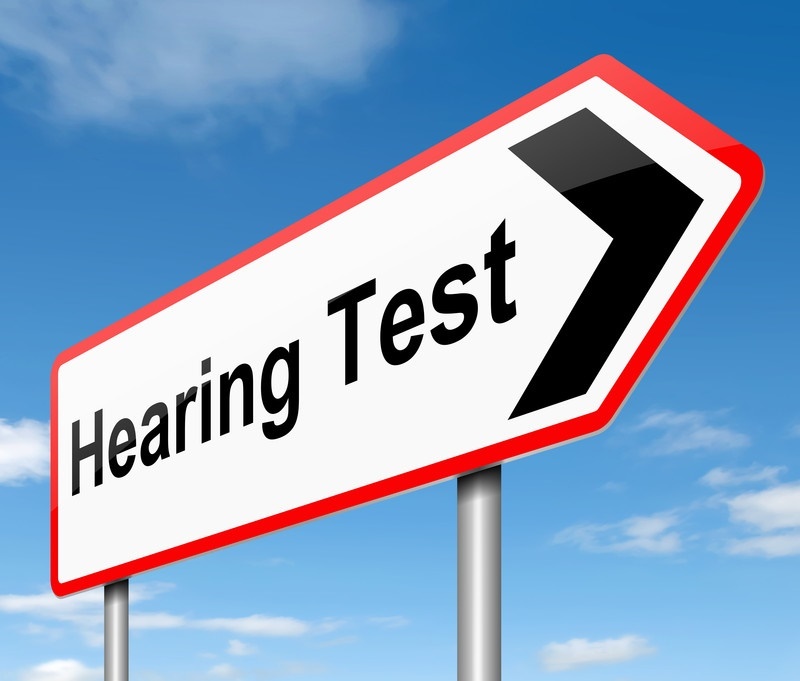 Regrettably, many people wait until their partner is at a breaking point of frustration before scheduling a hearing test. We’ve seen first hand that loads of problems could have been averted if hearing loss were dealt with sooner. How confident and interactive can you really be if you can’t comprehend what others are saying? Many individuals with hearing loss lose their self-confidence and sociability when it’s easier to avoid the scenario than it is to struggle to hear and comprehend what’s being said. This takes many down a path of solitude. It’s this feeling of seclusion—and missing out on social activities—that inspire people to pick up the phone and schedule a hearing exam. And there are not many activities that hearing loss doesn’t affect in a detrimental way. We’ve heard several stories of people that come to their breaking point on the job. Frequently they’re at an important meeting and can’t hear their colleagues sitting across the table. They either have to disrupt the meeting to get people to communicate louder or repeat themselves, or otherwise have to remain silent because they can’t follow along. There’s a reason why using hearing aids is linked with higher household income in those with hearing loss. If you have better hearing, you’re simply more confident and productive at work. Last but most certainly not least, people are becoming gradually more cognizant of the health hazards connected with hearing loss. While there are several conditions tied to diminished hearing, the most worrying relationship is that between hearing loss and dementia. According to Johns Hopkins University researchers, seniors with hearing loss are significantly more likely to develop dementia over time than those who retain their hearing. The bottom line is that many people wait far too long to attend to their hearing loss, despite the fact that the majority of hearing aid users state that their lives have been improved with better hearing. If you wear hearing aids, let us know the reason you made a decision to schedule your first hearing test. Your response may end up helping someone in a similar situation to attain the rewards of better hearing sooner rather than later. This entry was posted on Thursday, October 15th, 2015 at 8:00 am. Both comments and pings are currently closed.